We know that while your message is what’s important, no one will hear it if it looks like every other video on the web. That’s where we come in. Midnight Media Group has over 30 years of experience in brand messaging and story telling. Let us help you tell YOUR story. Sometimes a picture is worth a thousand words. Our Motion Graphics team will help you clarify key aspects of your message through text, graphics and animation so that your video makes a lasting impression. Distance shouldn’t get in the way of delivering your message. 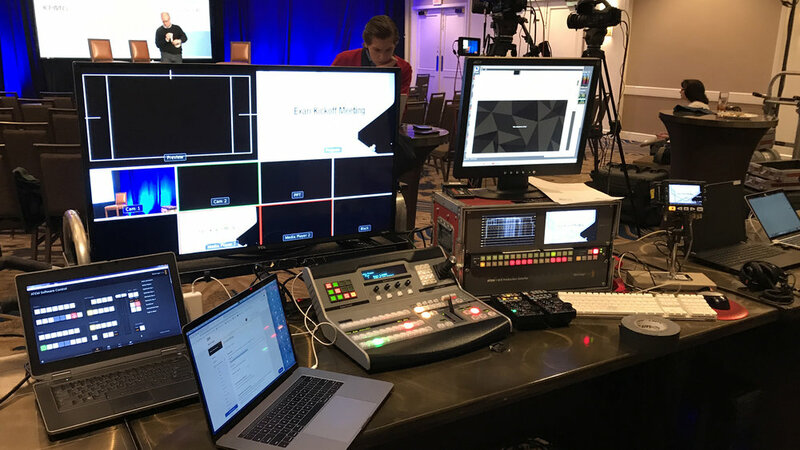 Whether your audience is in a room across the hall or across the world, we can make sure everyone gets a front row seat. From the board room to the ski slopes, we’ve got you covered. Whether you’re looking to shoot an in-house message from the CEO or drone footage of your latest vehicle as it twists its way up the Pacific Coast, we’ve done it before and can’t wait to do it for you. We shoot world-wide, on your schedule. Whether you need a studio shoot in New Jersey, an office shoot in London, or a location shoot in South Africa, our team can deliver professionally shot and edited videos under any conditions. Audio can be tricky. But whether you need a 12-person roundtable discussion recorded for a podcast or a professional voice-over recorded in our sound booth for a commercial spot, we can record and edit your audio for any application. Looking for an experienced crew to document your next live event? Whether it’s a corporate event or a live musical performance, our professional and experienced crew will make sure your event is captured from start to finish and delivered on-time.